Happy New Year to Bike-sharing Blog readers. As Russell and I look back five years ago to when this little Blog started, we're mindful at just how phenomenal bike-sharing has become. A mere 68 bike-share cities had services operational in December 2007. Europe, the birth-continent of this sharing concept (Amsterdam in particular), had 61 cities and Asia had one. In December 2012, we're up to 493 with Europe still leading the pack with 352, followed by Asia at 90, North America with 35, South America with 15, Australia/Oceania with 4, and Africa with 1. This is a huge change over the past half decade. The world's present economic uncertainty has slowed the spread of bike share programs in Europe for 2012. The economy and unforeseen circumstances delayed deployment of larger programs in North America while many smaller programs made an appearance there in 2012. Asia kept pedaling along with more bike-share. Many new programs came on-line in China with others planned. South America started to accelerate the presence of bike-share on that continent. Australia/Oceania is still suffering from mandatory helmet laws and remains stagnant. Central America and Africa for 2012 just haven’t begun to share yet, but that only means the potential is immense. We hope all continents will see spectacular growth of cities with bike-share for 2013. At the writing on this post, The Bike-sharing World Map is barreling to its 3,000,000th viewing. We thank all 3,000,000 of you for making it the #1 resource for bike-sharing cities information in, well, the world. It keeps you up-to-date with new programs which come online even before they are covered in The Bike-sharing Blog. It is the best way to keep up with the ever changing bike-sharing world. We've seen climate change rear its ugly head more than ever this past year. 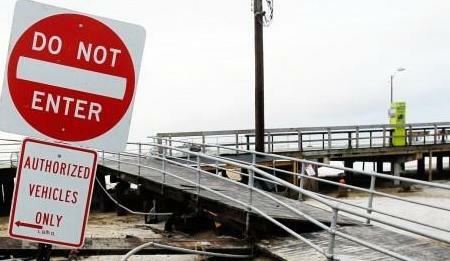 Our region in particular was walloped by a storm so big that the term "Superstorm" was created to better describe it. The image below shows the storm covering the eastern half of North America. 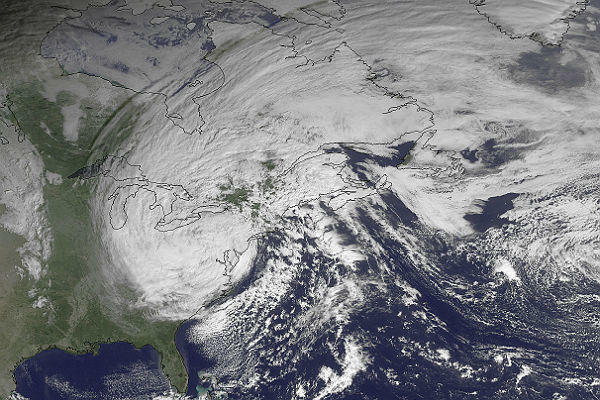 The storm was the largest in our region's recorded history. Is this the new normal? We hope not. Drastic policy measures must be taken up with haste around the world to stop the irreversible boil of the planet. Bike-sharing and the creation of complete bike infrastructure in our cities to encourage cycling must be part of these policies. Bike-sharing changes the way people get around in our cities. There is less reliance on burning gasoline and diesel fuels. It can help reduce the particulates in our air and put the brakes on global climate change. Don't disappoint us, world. Let's get cooking - before we're cooked! To finish on a more upbeat note, Russell and I wish you a happy and healthy 2013. May all your rides be downhill and all your bike-sharing bikes be pre-adjusted to your height. 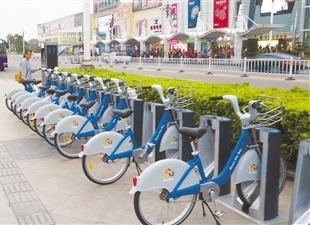 After a few weeks of a trial period, Zhuhai City, Guangdon, China, will officially launch its home-grown bike-share system this week. The 5,000 bikes in 195 station system is named "City Bike". There is a good video, in Chinese of course, of the system. Canopies will shelter 111 of the stations. It is reported that some of the stations will also have free WiFi -- now that's 4th generation in my book! As a twist on the initial 30 minutes usage at no extra charge policy, the system only allows 90 minutes at no extra charge per 24-hour period. 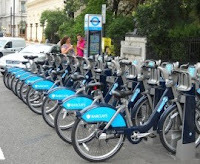 The design of the components of the system look very similar to the Public Bicycle System Company's components for Barclays Cycle Hire in London. Maybe it isn't purely occidental! Last week, just ahead of Zhuhai, Anji in the Zhejiang Province of China launched a 1,500-bike/60-station service using the same equipment. 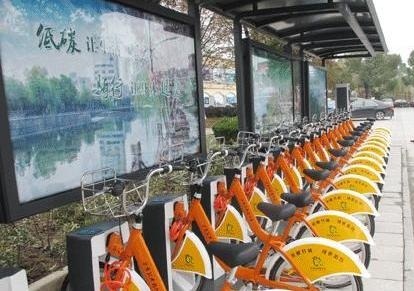 Anji Public Bicycle is a good example of small Chinese cities with populations between 500,000 and 1,000,000 adopting the Chinese government's concept of "green travel, low carbon life". Over the next two years, we can expect to see many more smaller Chinese cities launching good size bike-sharing services. StadtRad, the very successful DB Rent bike-sharing service in Hamburg, has 1,650 bikes in 123 stations. According to a DB Rent press release, it had two million trips last year. January 2013 will see a new price rate for bikes kept over the initial 30 minutes. An increase from 4 cents to 8 cents for each additional minute over the first 30 minutes will cause pfennig pinchers to get those bikes back in time! There is also a planned expansion of the system for next year. StadtRad, part of the Deutsche Bahn Call a Bike system, is not part of the yearly "Winterpause" where Call a Bike closes from December to March. Also for this winter, bikes will be available in the German cities of Berlin, Stuttgart, Kassel, and Frankfurt. There have been 18,500,000 Boris Bike trips since Barclays Cycle Hire started in July 2010. Starting next month, access fees to use Barclays Cyle Hire will double! Here is the Rate Schedule. Even with this price increase, the new £2 ($3.25 US) daily access fee is less than a one-way trip on either the London buses or Underground. Boris Bikes are still the most economical way to get around Central London. In addition to the planned expansion to the west of London, Sales Agents are reporting that stations are proposed near the very busy Clapham Junction train station in the south of London. Even though the original Bristol bike-share system of 2009, lasted only 18 months, a new system came to town. Nextbike UK a division of Nextbike GmbH had an operating station with bikes at a conference there last week. Here is a video of the nextbike programs in English. They also currently have a station with bikes just south of London. It has been a long time coming, but Florence, Italy might soon have bike-sharing. Like in many progressive cities, bike-share advocates have been working for years to get a system there. 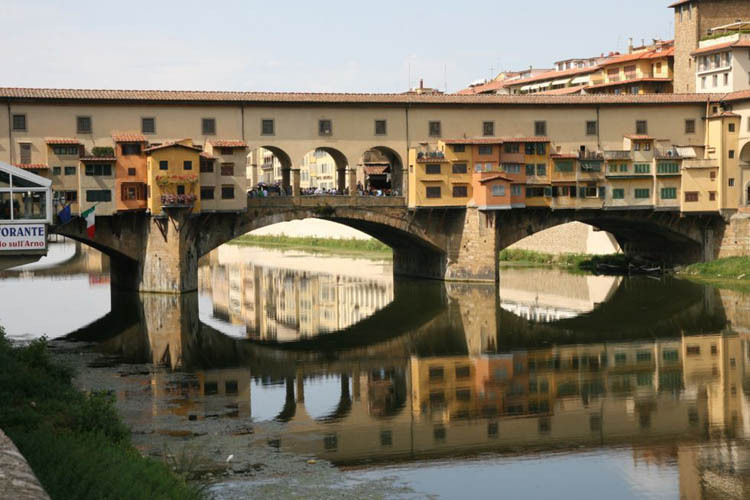 Recent reports indicate there could be bike-sharing available for the thousands of visitors who come to see the Ufizi and the Ponte Vecchio. A tender for 50 stations with 750 bikes is about to be released. This ocean-front city close to Brazil's largest city, São Paulo, gets bike-sharing. 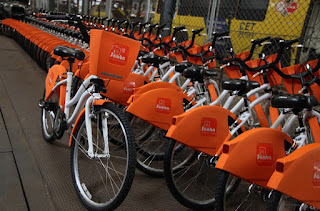 Within the last month, the beaches of Santos, Brazil are filled with 150 Samba bikes in 15 stations. Bike Santos charges a modest registration deposit of 10R$ ($4.80 USD). The bikes are then available for 30 minutes at no charge. Go over 30 minutes and there is a 5R$ ($2.40 USD) charge for each additional 30 minutes. Once the bike is returned, there is a 15-minute waiting period before another bike can be borrowed at no charge. Yet another bike-sharing system is coming to São Paulo. Ciclosampa will soon have its 200 Banco Bradesco-sponsored red bikes in 20 Banco Bradesco sponsored red stations added to the streets of São Paulo. CicloSampa will be using equipment from the U.S. company Cycloshare. The other systems currently operating in São Paulo are SancaBike, Nossa Bike, and itaú bike sampa. With multiple incompatible systems, it is a very interesting city where bike-share doesn't share! Last week, Nashville, Tennessee joined the growing number of Southeastern U.S. cities to embrace bike-sharing. On Thursday, Mayor Karl Dean introduced automated bike-sharing to Nashville with 190 B-cycles in 20 downtown stations. 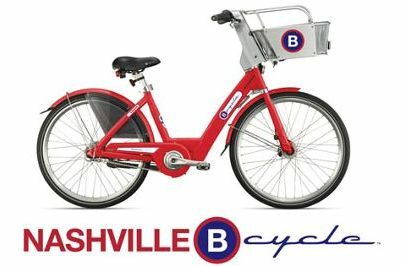 Nashville B-cycle offers the first hour of usage at no charge for the $5 day pass, the $10 seven-day pass, $15 month pass, and $50 annual pass. Each addition 30 minutes costs $1.50 (about $1.50 USD). Nashville B-cycle will complement the current Nashville GreenBikes city-wide Bike Library. This week, Portland, Oregon's City Council cast its final vote approving a contract with Alta Bicycle Share to launch Portland’s bike share system in 2013. Mayor Sam Adams said, “Bike-share is a game-changer for bicycling in Portland.” Alta Bicycle Share announced it accepts the responsibility of developing, fundraising, launching, and operating Portland's bicycle transit system. The program is to start with 750 bikes in 75 stations. 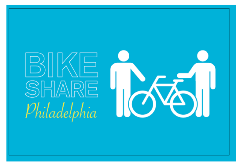 It has been a long ride since the beginning of 2007 when Bike Share Philadelphia began advocating for bike-sharing for Philadelphia. This month, Mayor Michael Nutter finally publicly announced to the Philadelphia Inquirer that he would seek appropriations for a bike-share service. 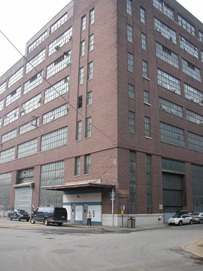 The Inquirer quickly endorsed a program in an Editorial. We all are waiting in anticipation for the process to roll from words to bikes and stations, then into the best program in North America. The Bike-sharing World Map is the #1 resource for bike-sharing systems. It shows new systems which come online which might not be covered in The Bike-sharing Blog. With almost 3 million page views, it is known as the best way to keep up with the ever changing bike-sharing world. The first plan of its kind for bikesharing in the United States has just been published. It is a comprehensive 6-year plan for Capital Bikeshare in Arlington County, Virginia. It took more than a year to finalize the report because we wanted extensive public input at all stages. This included open forums with regional partners, the business community, all Arlington civic associations, and the general public. Opportunities for public input were plentiful, both online and at in-person forums. The Capital Bikeshare crowdsourcing map was also used. Specific direction on exactly where the stations should be placed. The Transit Development Plan represents a major step towards establishing bikesharing as a legitimate transit mode. The plan will be submitted to the State of Virginia in the same way a local bus service would be submitted. The hope is that bikesharing will be considered for funding through the same channels. Capital Bikeshare is an integrated part of the transportation fabric in the Washington D.C. region, and it should be treated as such. The plan spells out how people are using Capital Bikeshare in Arlington and the region and also how people will use it over the next six years. Trip quantity, trip type, motivations to ride, expansion plans, revenue, funding needs, life cycle and replacement costs are all outlined. A must-read for anyone working on bringing bikesharing to their city or municipality – or anyone with local interest in the Capital Bikeshare program – we are excited to have this resource and to all the great years of bikesharing ahead. Chris Eatough is BikeArlington's program manager. Posted by Paul DeMaio at 4:59 PM No comments: Labels: bike-share, Bike-share Blog, bike-sharing, bikeshare, Capital Bikeshare, Washington D.C.
San Diego is to be decorated with bike-sharing from Decobike. 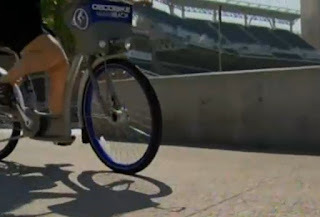 Today the City of San Diego announced in a press release that it has picked Decobike, the master of ocean side bike-sharing, to provide the city with a new program. Covering the area stretching from La Jolla to Downtown San Diego along the coast, there will be 1,800 bikes in 180 stations to start. Projected schedule to launch the system is Fall 2013. It is to be a comprehensive system with about 4 stations on average per 2.5 km² (one square mile) and a bicycle to resident ratio of about 1 to 155 in the areas served.. This will position San Diego to become one of North America's most utilized bike sharing programs. With Decobike picked for San Diego, Southern California is no longer being considered a reservation of Bike Nation. Speaking of Bike Nation, more of the Los Angeles basin will be covered by Bike Nation. 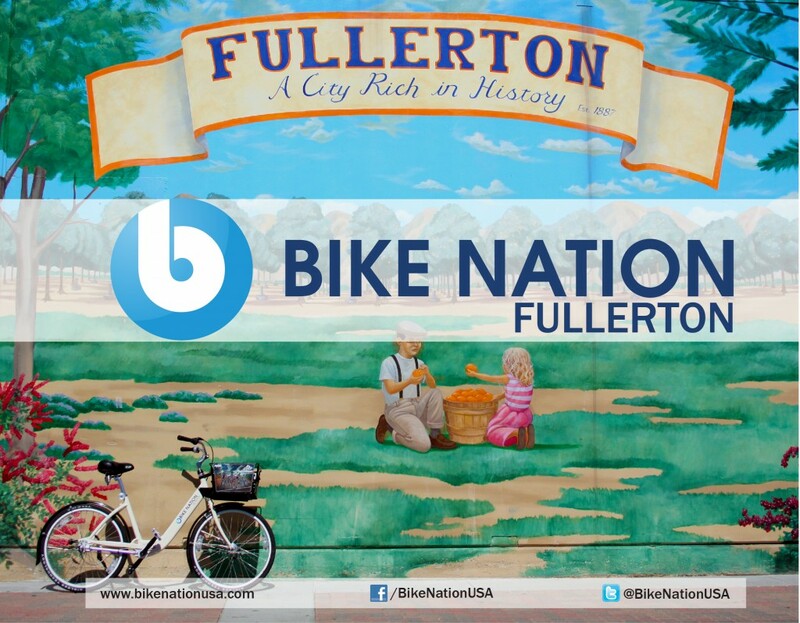 This week Fullerton, California picked Bike Nation to develop it's bike-sharing pilot program of 165 bikes in 15 stations. It hopes to expand this program to 515 bikes in 50 stations in two phases. No start date was stated in the announcement. 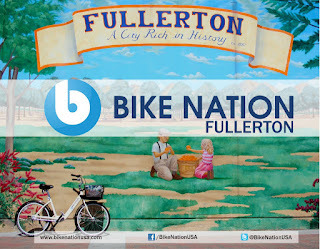 Bike Nation now has programs planned for Anaheim, Fullerton, Los Angeles, Venice and Westwood California. Speaking of DecoBike, when Hurricane Sandy hit Long Beach, NY, it tore up the ocean side boardwalk, but left this green Decobike Station standing. Before the hard hurricane winds, Decobike removed the bikes and put them into safe storage. All the stations have survived, but it will be a little time before the boardwalk is replaced and the Decobikes will begin rolling again. Speaking of Hurricane Sandy, reports in the New York Times and New York Post indicate that the first floor storage area of the Brooklyn Navy Yard building where the hundreds of bikes and stations for New York's Citi Bike program are housed, took in between 1.5 and 2 meters (4 to 6 feet) of water with the Hurricane's ocean surge. A NYCDOT spokesperson indicated that there was damage to the equipment, but it was too early to determine the extent of the problem. We all hope that there will be no further delay in deployment of Citi Bikes. Update: According to the Montreal Gazette, a spokesperson for the equipment supplier to the Citi Bike program said that hundreds of bikes and many stations suffered damage from the hurricane. The article also indicated that before the hurricane, ongoing test of the program's software, which had delayed the start of Citi Bike in July, were not going well. 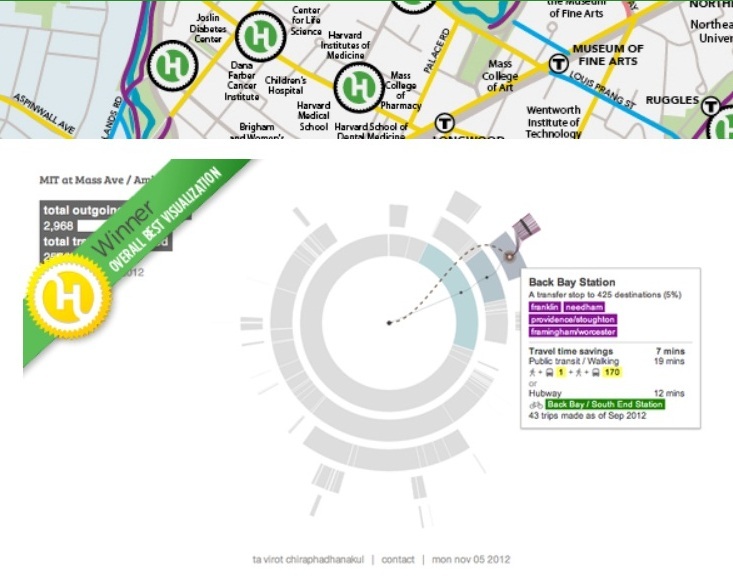 Boston's regional bike-share, The Hubway, held a contest to determine the best visualization of the trip data for 500,000 of its rides. 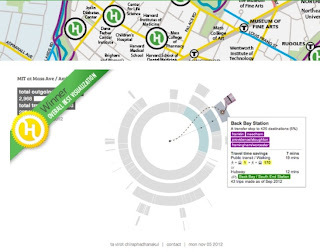 The Hubway Data Visualization Challenge has announce the winners. The First Place award goes to Ta Chiraphadhanakul. All the other winners can been seen on the Data Visualization web page. There were 67 entries all of which are very good. We're sorry our friend Ollie didn't make the top 10! 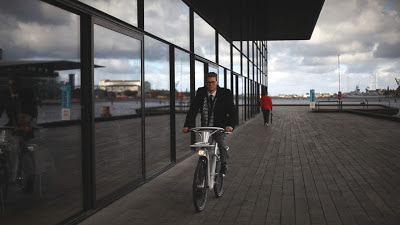 Just after terminating its 17-year old coin-operated Bycyklen bike-share system, Copenhagen City Hall has changed its mind and will fund a new system for 2013 according to The Copenhagen Post. The new Bycyklen is GOBIKE! GOBIKE is the newest version of the Urbikes system, from a company based in Barcelona, Spain. There are a few innovations scheduled for the Copenhagen system. 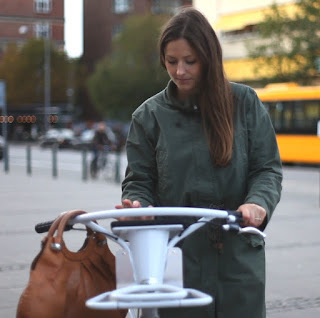 The most intriguing is the utilization of some of the research from the Massachusetts Institute of Technology SENSEable City Laboratory programs: CopenCycle and The Copenhagen Wheel. 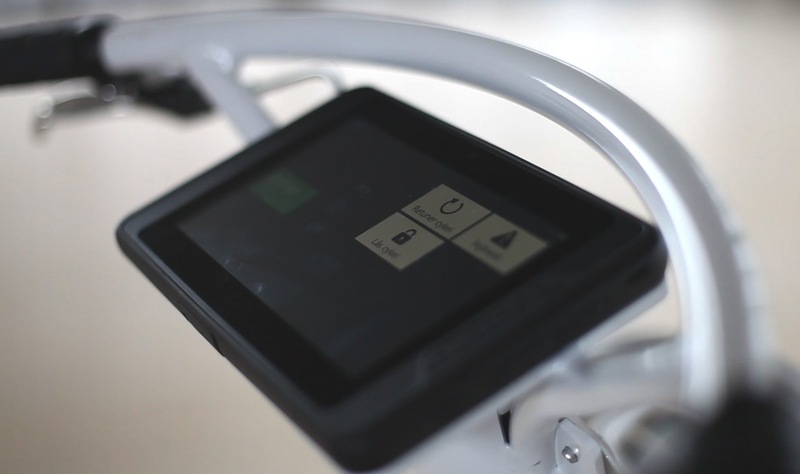 GOBIKE riders will have real time information at their figure tips with a touch screen computer between the handle bars as they negotiate the one of the world's leading cycle-friendly cities. The on-board computer will plan your route with a map display. It can give real-time transport schedule information with ticketing integration. It can furnish information on activities in areas through which you are cycling. 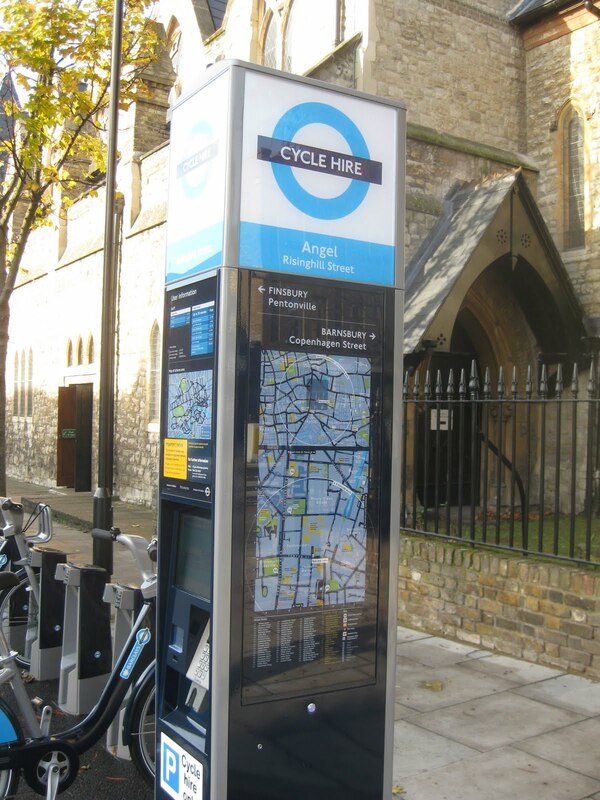 Real-time bike and docking station availability is displayed as well. To make it easy to find and take a bike, a smart phone app will locate the nearest bike and allow you to reserve it. Whether or not the app will reserve an empty slot to return the bike is yet to be seen! This system will really be the beginning of 4th generation bike-sharing. The city will install 2,000 GOBIKES at bike-share stations near public transport hubs to achieve seamless transfers from train, tram, and bus. The bikes have a shaft drive instead of a chain system and puncture-proof solid tires to reduce maintenance needs. The system is scheduled to stay open all year round. Keep reading The Bike-sharing Blog for GOBIKE's inauguration as it happens. The Bike-sharing World Map is the #1 global resource for bike-sharing systems. Keep up-to-date with the changing bike-sharing world by visiting us. Barclays Cycle Hire is planning to increase its size by 25% with an expansion into west London next year. Speaking to the press, Mayor Boris Johnson said, "Every Londoner should be able to take advantage of our hugely popular and iconic Barclays Cycle Hire scheme which has already brought untold benefits to London's commuters, businesses, and visitors alike." 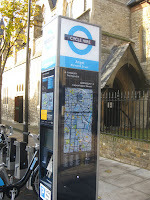 The plan will bring 2,400 more bikes in 200 new stations to boroughs of Wandsworth, Hammersmith and Fulham, Lambeth and Kensington, and Chelsea according to Transport for London. A colloquium, "Bike-sharing: Where are we now?" was held in Strasbourg this week. Representatives from all over France as well as parts of Germany and Switzerland participated. 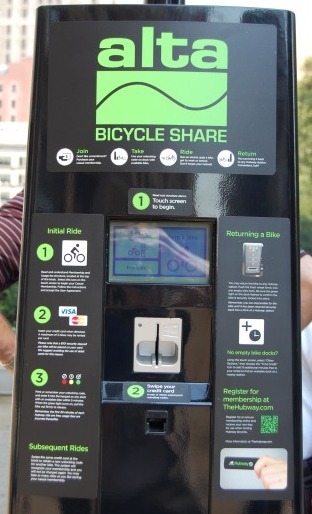 One of the interesting concepts that was discussed is the idea that bike-sharing is a new form of communication. The economist Frédéric Héran, who teaches at the University of Lille, posits that bike-sharing is a way our cities "communicate" about themselves showing that they are vibrant and "trendy." There were also discussions on the change bike-sharing has brought to adhering cities. Most of which were very positive. There were also lively discussions on the relative cost of programs to cities. A Paris police spokesman said that "a large number of investigators" were working to solve a reported form of "class warfare" vandalism to Paris' wildly successful bike-share system. 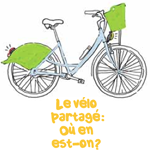 After 50 Vélib' tires were slashed, according to the report, a group claimed that it planned to vandalize the bikes in all areas of the city that were not in working class districts. The police do not view these claims to be inflated and are working tirelessly to stop any more incidents. Seventy-two more Ecobici stations are up and running in Mexico City this week as the system opens the start of its Phase II expansion. 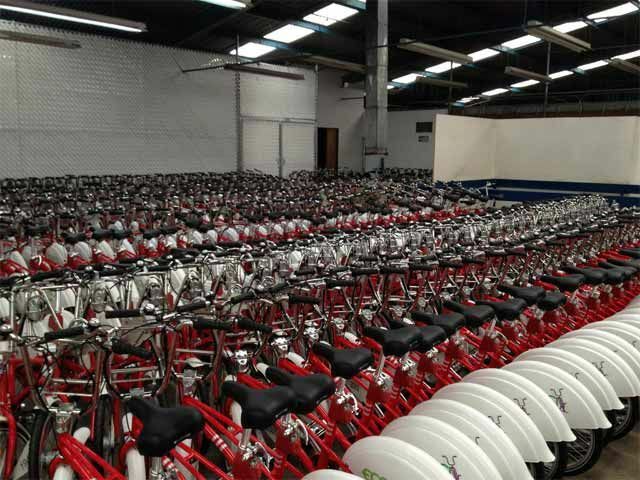 By the end of the year there will 275 Ecobici stations with 4,000 bicicletas rolling around more areas of the City. On Wednesday, the Head of Government for the Federal District of Mexico City, Marcelo Ebrard, cut the ribbon to open this huge expansion of the Ecobici system according to a city press release. With that one snip of the scissors, Ecobici more than doubled its size. It is hopeful that the ridership will almost triple to 73,000 trips a day with this expansion. The system is open only to residents of Mexico City and had been limited no more than 30,000 subscribers. Phase II is expected to allow up to 100,000 subscribers according to Iván De la Lanza of the Ministry of Environment of Mexico City. The B-connected Reciprocity Initiative now includes three B-cycle Cities. Annual subscribers to the Madison, Wisconsin, Boulder, Colorado and Denver, Colorado can use their membership card to take bikes in each other cities. The overage time charges, if any, are at the renting location rates. According to the press release, B-cycle hopes to extend this B-connected Reciprocity Initiative to more of the B-cycle systems in the USA. Bike Nation the dominate bike-sharing force in the Los Angels Basin has debuted its second generation bike-share bike even before its first generation has hit the streets. In a press release this week Bike Nation shows its new "Made in USA" bike. It expects to create more than 150 new jobs making these bikes to fulfills its plans for the 2,500 bikes in 250 stations for Long Beach, California and the 4,000 bikes in 400 stations for Downtown Los Angeles, Hollywood, Westwood and around Venice Beach, California. 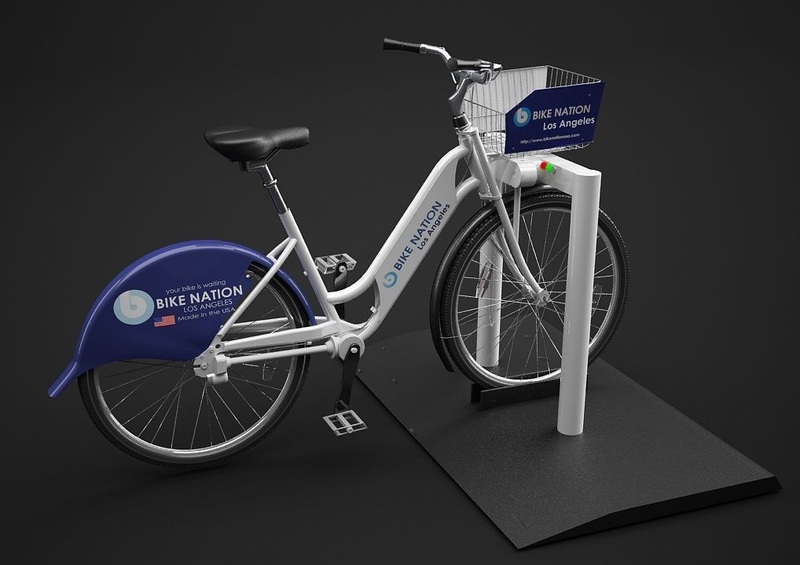 Bike Nation's first deployment of a system which was to begin in Anaheim, California at the end of July, should actually begin operation this month but using the older Bike Nation bike. In Anaheim, there will be 100 bikes in 10 stations to begin, with a goal to increase the size of the system as demand warrants. For all of you who just can't get enough bike-sharing information, the Pedestrian and Bicycle Information Center just released the report: Bike Sharing in The United States: State of the Practice and Guide to Implementation. This 68-page report is a good read. The report is available here in PDF form. 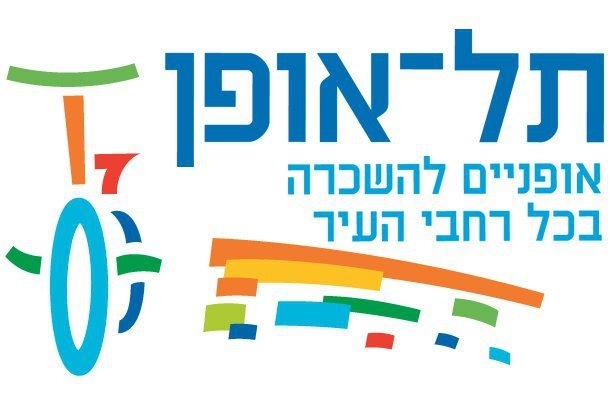 Reports out of Tel Aviv are that it will not be fun to use Tel-O-Fun on Wednesday, September 26th. Although there is now a compromise, according to The Jerusalem Post, the Israeli Minister of Transportation threatened to stop all funding to Tel-O-Fun if it did not close down for the religious holiday of Yom Kippur -- an important Jewish holiday, on that date. The Jewish religion forbids work on Yom Kippur. The compromise is that on Yom Kippur only annual subscribers will be allowed to use the system; casual members will not.